Organic and Natural skincare brands that give results. Available in an array of scrumptious botanical formulations! 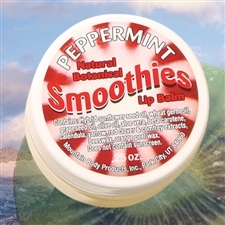 Soften & Heal with this non-petroleum lip balm. Healing & protecting chap stick , SPF 15 - Petroleum free! Available in 18 flavorful scents! Gentle sugar lip exfoliant. Paradise is just a bath tub away with this mess-less bath tea! Let the stress melt away after a long day. Enhance immunities or find relief from an existing cold. Enhance your Romance! Moisturize and revitalize tired dry skin! Refresh and revitalize with your Chai Tea... in the tub! Soothe sore muscles and relieve tension. 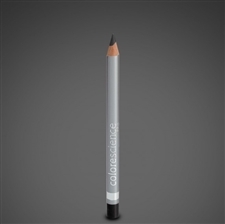 Mineral Eye Pencil - Colorscience Mountain Body Products | Shampoo - 8 oz. Mountain Body Products | Conditioner - 8 oz. Rich pigments provide brilliant color & definition. Wet or dry application for soft or dramatic looks. A delectable sulfate free shampoo! Keep your hair healthy and vibrant with this conditioner! Dry skin? Turn your bath into a milk-bath! Dry skin? Turn your bath into an aromatic moisturizing milk bath! Pure mineral pigment with an easy applicator! Expressing love in action. Sparkle after a bath with this soak! 100% natural foot care and moisturization with this rich foot cream. 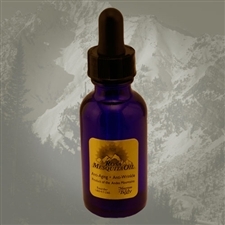 Mountain Body Products | Rosa Mesquita Eye Oil Mountain Body Products | Floral Water Hydrating Mist Mountain Body Products | Mountain Balm - 2.5 oz. With a special oil found only in the mountains of Chile, Mountain Body’s Rosa Mesquita Eye Oil offers unique anti-aging and anti-wrinkle properties for the sensitive eye area. Keep your face hydrated at home or on the go! Available is 5 botanical forumlations. A super-rich non-petroleum oil-based salve infused with healing herbs. Lip Gloss infused with Ginseng! Lip Gloss infused with Ginseng! Lip Gloss infused with Ginseng!